In the business world, money talks. Therefore, if you are fresh out of college and want to learn the finance language, stay tuned. Being familiar with these terms can help you in long run in terms of career growth. In order to grow your career, you need to have strong English vocabulary skills. Today, we will explain you some basic financial terms that are commonly used in finance section of a newspaper or a business magazine. The following words are also used in day-to-day English conversations. Break-even is the point of balance making neither a profit nor a loss. It refers to the revenues needed to cover a company's total amount of fixed and variable expenses during a specified period of time. 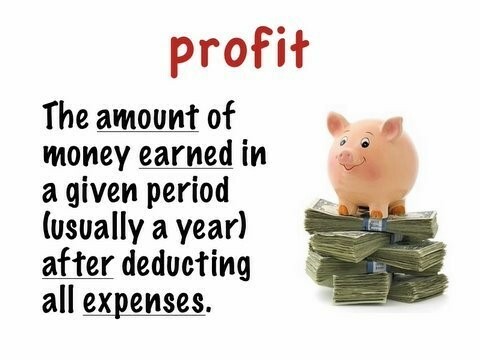 It is the name for remaining value (profit/loss) of a product or service after all deductions such as taxes and fees. In simple words, profit or loss on a transaction. Sale means the exchange of a commodity for money. Selling Price: price that you demand to sell a product/service. Price can also be referred to as ‘worth’. Gross means in total without any deductions. In simple words it means the sum of cost price, taxes, fees and the profit or loss earned. Transaction means an instance of buying or selling something. It is the process where a sale happens. Transaction can be in more than one form of price i.e. cash and kind. Discount means a deduction from the usual cost of something. It is the name for reduced selling price. It is the name for surplus of money earned during a transaction. If one gains money, it is termed as profit or if he loses it is called a loss. Profit is also referred to as gain. Currency is the form of money used in a country to buy things: There are six most trusted currencies across the globe. US Dollar, British Pound, Euro, Japanese Yen, Australian Dollar and Canadian Dollar. The above vocabulary will help you to understand finance language in a better way. Take the assistance of an online English tutor to learn fluent English speaking. eAgeTutor.com is the premier online tutoring provider. eAge's world class faculty and ace communication experts from around the globe help you to improve English in an all-round manner. Assignments and tasks based on a well-researched content developed by subject matter and industry experts can certainly fetch the most desired results for improving Spoken English Skills. Overcoming limitations is just a click of mouse away in this age of effective and advance communication technology. For further information on Online English Speaking Course or to experience the wonders of virtual classroom fix a demonstration session with our tutor. 1. How to sell your services to a client? 2. How to motivate a demotivated employee? 3. How to win an argument? 4. How to close a conversation? 5. How to negotiate for an appraisal?